Amber Case, who gave the keynote address Sunday at South by Southwest in Austin this week, sparked a conversation about technology overload "as she explored the rise of the so-called cyborg. ":http://sxsw.com/node/10804 All photos by Kris Krüg. Every March, the city of Austin, Texas, welcomes the world for its annual South by Southwest Festival, otherwise known as SXSW. The festival consists of three parts: SXSW Interactive, a four-day geekfest for the Internet community; SXSW Film, ten days of international cinema programs; and SXSW Music, a four day non-stop celebration of live music. The big buzz in 2012 was again, location, location, location, with the app Highlight — which connects you to who is physically around you — at the top of the the buzz meter. But also on the radar were homeless hotspots, and a wide-ranging conversation centered on: how much technology is too much? 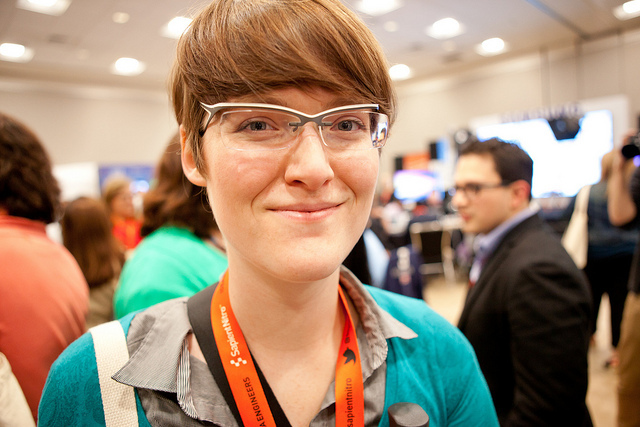 Below is a recap of SXSW Interactive 2010 by Vancouver-based photographer Kris Krüg. Click on any photo to see its caption.